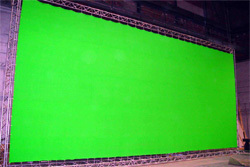 MultiMedia-Interactive is a turn-key business from start to finish. Each project is produced in house so there is no need for any outsourcing of any kind. We have been in business since 1985 and we have built our business on producing our clients professional results at an affordable price and working closely with our clients to achieve the results they deserve. MultiMedia-Interactive is a full service video production company that takes your project from start to finish including scripting, storyboarding, shooting, editing and producing. With our broadcast cameras and digital editing capabilities your project will be of the highest quality. Whether your looking for something as small as a 30 second commercial or a two hour documentary we have the ability to produce your project. We have some of the best talent when it comes to voice narration, music, and jingles for your project. We work with voice talent you hear everyday on all the major networks and we have a joint venture in Nashville called HitWriters.com that has signed the majority of top ten songwriters in the country. With these capabilities it allows us to provide the highest quality voice, music and jingles possible. We have a fully mobile production studio we can take virtually everywhere. We use the highest quality digital cameras, lighting, and professional audio we take on the road with us. Whether you looking to shoot a commercial in your office or go on location or have us film a live performance we have the equipment and capabilities to handle any job no matter how small or large. We have a huge library of music, sound effects, and motion backgrounds and what we don't have we can create. Once your video is complete we can author your video to DVD, CD-ROM or the internet for streaming video capabilities. We have produced video projects on several major music artists such as Wild Horses, Confederate Railroad, Ricky Lynn Gregg, George Jones, and several major corporations such as Budweiser, Publix, and more. Be sure to visit our Video Section on this site to view some of the videos we have created. It's true anyone can create a website but if you want a professional website then you better hire a professional. Anyone can paste a few pictures on a webpage with some text but in order to design a professional website you have to be very creative and knowledgeable. 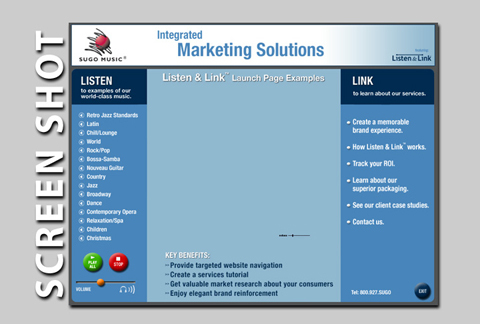 Websites all start with professionally designed graphics. Once the graphic concept has been designed then you have to know how to put it all together which requires extensive programming. Video, Flash animation and custom written scripts all take expertise and know how. MultiMedia-Interactive has designed websites for major country music artists such as Charlie Daniels, George Jones, Confederate Railroad, Ricky Lynn Gregg, Wild Horses and corporations such as Norstar Aluminum Molds, and Martin Literary Management. We started designing websites way before anyone ever knew what the internet was. Ricky Lynn Gregg was the first country music artist to have a website. We were on several national television shows like Prime Time Country, Crook and Chase and many others promoting Ricky and this new thing called a website. Whether your looking for a simple website or a complex website with streaming video, audio, and ecommerce, MultiMedia-Interactive is your source for a professional website. We not only design the site but we also host the sites we create. This gives us total control and reliability over your website. We have the capability to custom write any type of script including Cold Fusion. Be sure to visit our Website Section on this site to view our portfolio of websites we have created. With the introduction of the DVD format more and more projects are being authored and replicated on DVD's everyday. We can take your existing video footage and convert it to DVD including a menu system with chapter points and even motion menus. We can also build your DVD project from start to finish including scripting, filming, editing, producing and creating the end product ready for duplication including the layout of the DVD case, inserts and DVD label. There is more to making a professional DVD than just taking your movies and putting them on a DVD disc. A professional DVD has to be authored following very high standards and each DVD project is different and requires professional authoring to achieve the standards that are required for a DVD to go to replication and the final product to be of the highest quality when it reaches your home or business DVD player. 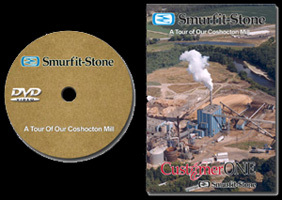 Be sure to visit our Portfolio Section on this site to view our samples of DVD's we have created. The CD Business Card is a modern day solution to marketing and promoting any product, business, attraction or music artist. It's perfect and includes everything you need for a professional presentation in one small affordable package. Company information, Product information, Biography, Discography, Promotional Photos, and Video footage can all be included. A website link for updated information and merchandise sales and booking information. 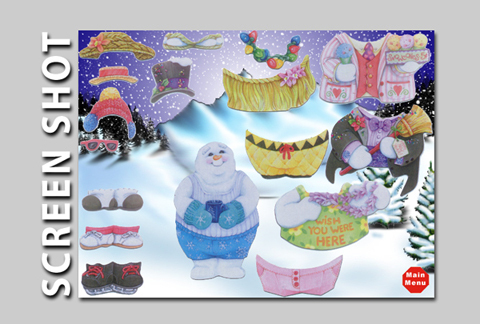 Let Multimedia-Interactive shape up your next promotion with one of our audio or interactive Shape CD's. A CD doesn't have to be round anymore. 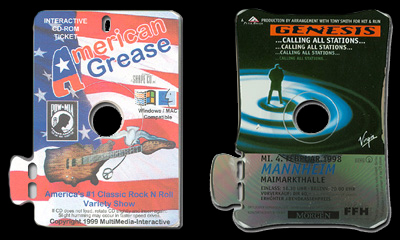 Your CD can be in the shape of your logo or product or even a CD Ticket. The CD ticket is a new and innovative way to promote anything. The CD Ticket can include a hole in the CD to be used with a lanyard as a VIP pass. The CD can contain a break away tab that can be used to validate the ticket and the ticket can also be individually numbered. The possibilities are endless! 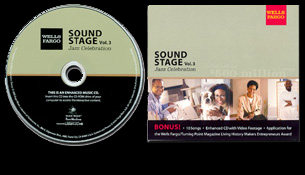 Be sure to visit our Portfolio Section on this site to view our samples of the many Promotional CD's we have created. 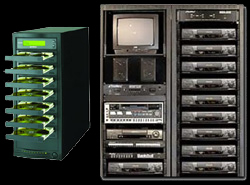 Enhanced CD technology has been around for years but mainstream music artists and labels have just started utilizing the technology. An Enhanced CD is a CD that will play music in any audio CD player but when inserted into a computer the CD becomes a whole new experience with multimedia, video, audio along with links to a website and more. The Enhanced CD gives the end user a bonus by giving them more than just an audio CD. Music artists Ricky Lynn Gregg and Wild Horses band both have utilized Enhanced CD technology along with companies like Bath & Body Works, Bank of America, Sharper Image, Kimpton Hotels, Wells Fargo Bank, Harlequin Books, Banana Republic and Kohler, just to name a few. 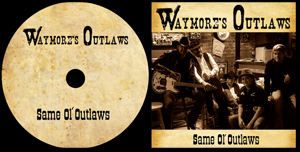 Be sure to visit our Portfolio Section on this site to view our samples of the many Enhanced CD's we have created. With the digital technology we use today more and more companies are moving to a digital catalog versus a paper catalog. By delivering the catalog on the internet it gives the company the ability to deliver the catalog immediately to the potential customer and in turn saves the company money. Another way of delivery is on an interactive CD-ROM. Not only can you put your catalog in the hands of your potential customers but also give them a full fledge multimedia presentation on your company. 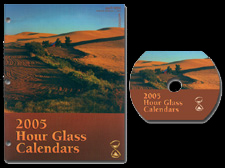 Hour Glass Calendars one of today's largest and oldest calendar manufacturer in the country has used the digital catalog option for the past 5 years. Every year they still print a catalog for those select few that would rather have a printed catalog but for most of their clients they use the digital catalog we have on their website. Every year the company would go to trade shows all over the country and would have to print and ship skids of traditional paper catalogs to the trade show site to have as a hand out. 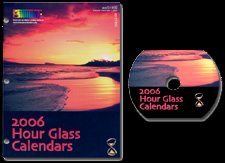 Now Hour Glass Calendars takes one box filled with thousands of CD Business Cards that the company hands out and this method has not only worked great for the company but has also saved them thousands of dollars, The CD contains their latest catalog and also a complete presentation about the company and a video from the companies president. This gives the client a more professional and personal catalog. Norstar Aluminum Molds, Inc. also utilizes the online digital catalog on their website where they sell new and used molds internationally. 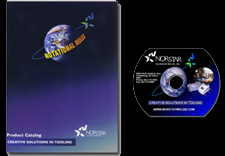 MultiMedia-Interactive is contracted by Norstar to maintain their online catalog and perform monthly changes to the catalogs so they are both always up to date. With every project there has to be audio whether it's music, sound effects, or professional voice narration. We here at MMI have an extensive library of thousands of sound effects, background music and more and if we don't have what we need we'll create it. Professional voice narration is a key element in any project. We have many different male and female voice personalities to choose from. We have a wide range of voices we use from someone soft and subtle to someone rough and raspy and everything in between. 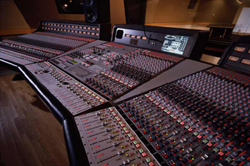 Professional audio production is another service we offer here at MMI. Sometimes a client needs a jingle written or a specific song written and recorded for a commercial or project. We work with several major country and rock artists along with singer songwriters many of them have written number one songs you hear on the radio and television everyday. We call on these songwriters from time to time to write our jingles and songs for our projects. Here are just a few examples of some of the voice personalities, jingles, music and more. 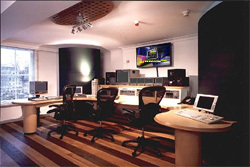 MultiMedia-Interactive is involved in a joint venture called www.MusicArtists4U.com. With this association we have at our fingertips the best songwriters in Nashville and their music catalogs. The writers are also available to write particular songs or jingles for a specific project. We rely on these writers and their song catalogs for our Enhanced CD's. This gives us the capability to include hit songs on our projects at a fraction of what it would cost anyone else in this industry. We can custom tailor our Enhanced CD's to contain specific songs for instance a hunting and fishing corporation would include hit songs about hunting and fishing and so on. Be sure to click on some of the writers thumnails above and see what songs these writers have written you will be amazed! Data in today's age is valuable information when it comes to your sales or marketing efforts. Here at MMI we have written our own tracking software for our interactive CD-ROMS that will track every option and keep track of how long each option was used. When the user has finished viewing the CD the tracking results are sent to a database and you have the ability to review the results. The CD can also automatically send you an email with the results. 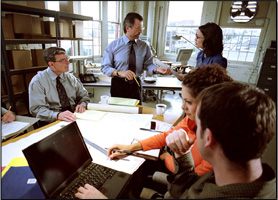 This information is very valuable to your sales and marketing staff. Now you have the ability to keep track of who is using the CD, What they did when they opened your CD, and how long they spent in each option on your CD plus create a mailing list from the CD results. The CD can also automatically send the user a thank you email from your company thanking them for their time and consideration for viewing the CD or even buying the CD. The Email can also include a coupon for savings on the product you are promoting. Wells Fargo Bank recently included our tracking software on the latest CD we designed for them. We also recently designed a CD for Sugo Music Group that includes the tracking feature which they are taking to tradeshows. 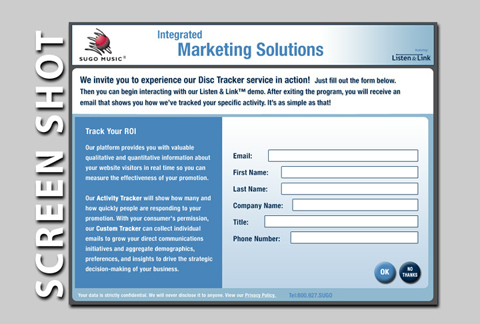 This CD gives the user the option to participate in the tracking results but doesn't limit the user from using the CD. The results are sent to a database and an email is sent to the user thanking them for participating in the tracking feature and a copy of the email is also sent to Sugo music Group. This new feature we have developed can be very valuable to your company and can aid in promoting your CD project. There are times when a company or music artist can't find what they want in an application and they need something custom written. We can help by custom writing software application or games for any need. We have custom written many applications and games and have been doing so since the early 80's. 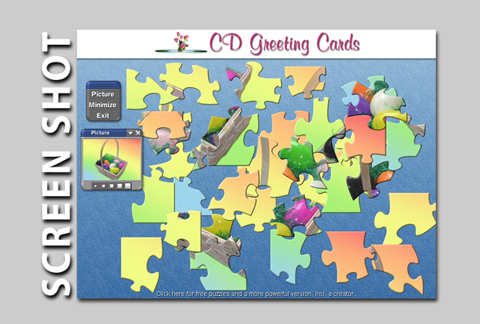 One of our latest examples of custom programming is the games we recently created for CD Greeting Cards. 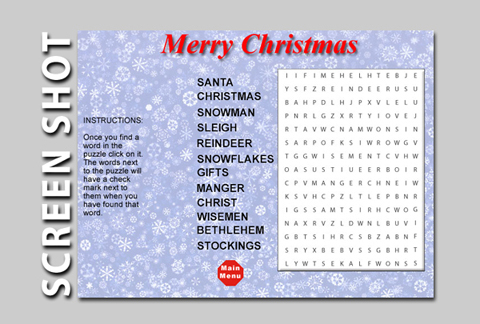 CD Greeting Cards are an interactive CD-ROM greeting card and we created all of the content including the games. 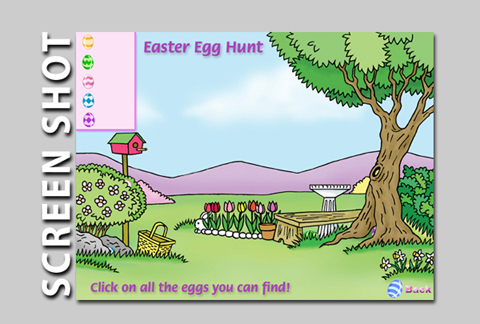 There are games for all ages including an Easter egg hunt, dress the snowman, crossword puzzles, jigsaw puzzles, and more. So if your looking for something fun and different or even a business application we can custom write any software to suit your needs. We were approached by a group of investors interested in a custom designed software that people could barter or trade things. 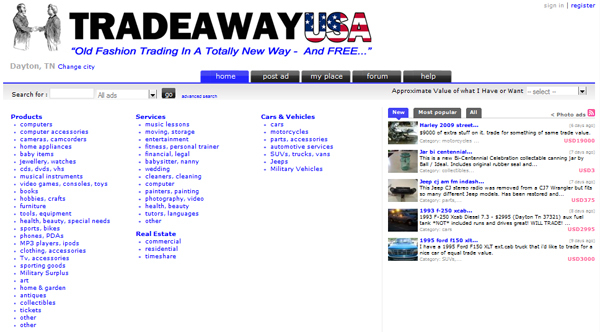 TradeAwayUSA was born and we custom wrote the software to handle this venture and also host the site on our own server. Once production is completed we work closely with our client to design and create packaging options to ensure the product is professionally displayed. 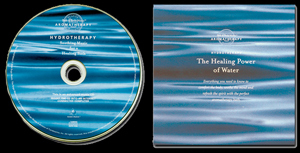 Depending on the clients needs we can create everything from something as simple as printed sleeve to the more elaborate like a complete fold out paneled CD folder or DVD case or a complete kit ready to mail. 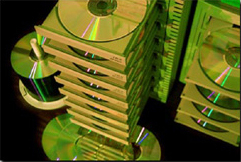 When it comes to duplication small runs of CD's, and DVD videos they are all done in house. When it comes time to replicate larger runs of product we use our AMERICAN duplicating company which insures your product is of the highest quality and in turn helps the American economy. Graphics excites, moves and inspires people. Without graphic design a web page would just be a plain and simple page with some text and pictures. Here at MultiMedia-Interactive we design graphics everyday whether it's a custom logo, a magazine ad, a cover for a CD or DVD, a newsletter, a website, and more. We have designed thousands of graphics for companies like Budweiser, MilkBone, Bath & Body Works, music artists such as Charlie Daniels, Tracy Lawrence, John Anderson, Confederate Railroad and more. 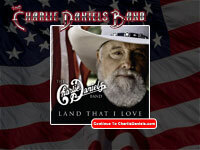 Twice a year we design a full color 16 page newsletter for the legendary county music artist Charlie Daniels. We also design all his promotional materials and even his merchandise such as t-shirts and bandanas. Be sure to visit our Portfolio Section on this site to view our samples of the many Graphics we have designed.